We are introduced to the Bennet household. Mrs Bennet is excited by the news that Mr Bingley, a bachelor, is moving into the neighbourhood. 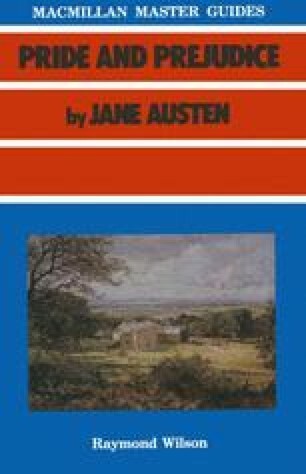 With five unmarried daughters, her mind is preoccupied with finding husbands for them, and Mr Bingley would clearly be an excellent ‘catch’.